The RoboAvatars teamed up with our local Mission San Jose High School's Girls Who Code chapter to teach young females more about CAD Design and engineering. As a part of our initiative that involves our team working towards decreasing the gender gap in STEM fields, we held a session where our Captain taught 15+ females more about FIRST and how they could get involved! Our team qualified to the World Championships! 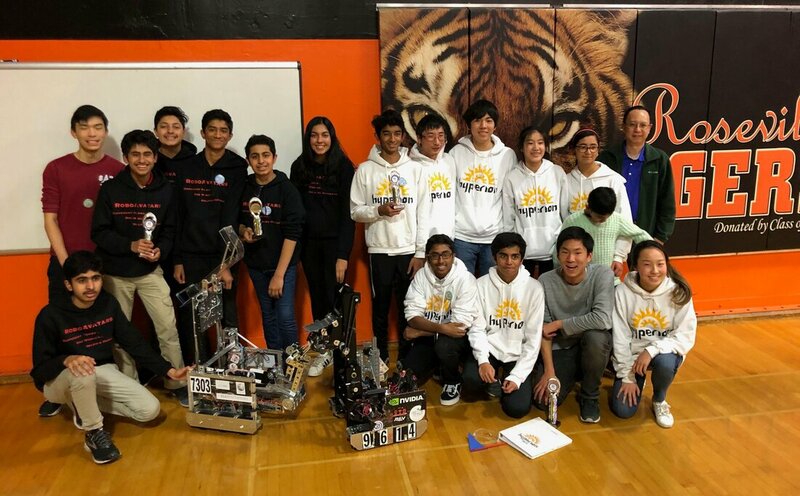 We had the privilege of serving as the Winning Alliance First Pick, setting the NorCal high score record of 482 points! We are very thankful for our sponsors, team mentors/coaches, peers, and the entire FIRST community. We can't wait to compete at the World Championships in Houston this April! Our team held a booth at the Tech Museum to play our part in decreasing the gender gap in STEM/engineering. We had several robots on display running demonstrations, attracting many young females. We taught them more about FIRST and encouraged them to explore robotics! Our team had a blast at this event, and we are looking forward to hopefully participating again next year! 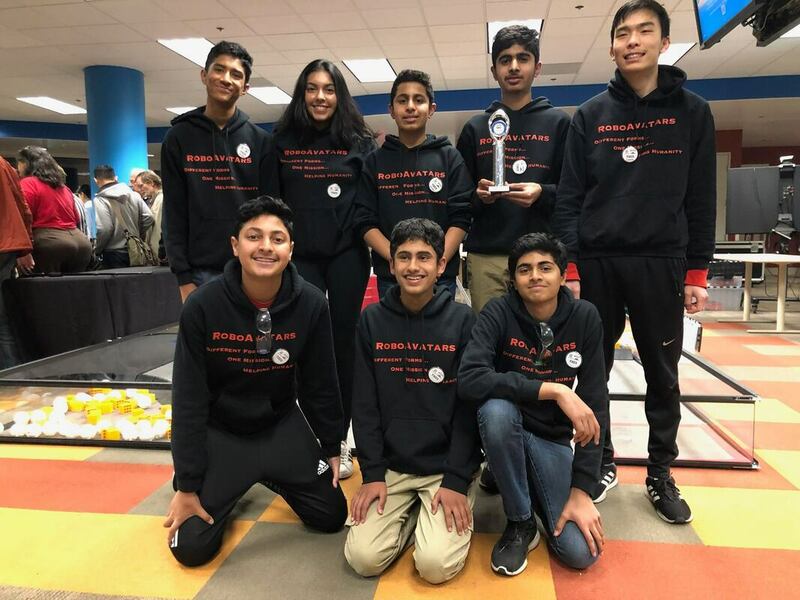 Our team was thrilled to win the INSPIRE Award at the Cisco Qualifier. Thank you to all our friends, families, peers, and the entire FIRST community for all the support! On November 3rd we went to AT&T park to hold a booth demonstrating a test robot we made at home as well as showcasing our posters for the season. We got a lot of attention from kids who were interested in our robot and how we made it. We let kids test drive our robot as well as for the few who had some prior experience, explained the different parts of it and how it all works together. By the end of the day we had many people who came up to us either asking for ways they could participate in STEM activities or how their kids could get exposure into fields like this. From October 13th to November 17th our team held a course at our local Fremont Main Library in which we taught 3 different classes. The 3 classes we taught were Intro to Robotics, Intro to Scratch, and Intro to Tinker CAD. Each class had about 20 kids. Our goal for this long term course at the library was to draw more attention to STEM related activities and give kids who had never done something like this a free exposure. We believe we have succeeded in our goal as out of the classes we were able to form an FLL team as well as direct other kids to teams near them. Over the summer we made it our goal to take advantage of the free time and find interest for robotics within our own community itself. We did this by sending a google form out into the community. From this alone we had more than 15 responses of interested parents. We also held a booth at a local school where we talked to a lot of interested parents. From all of this we were able to achieve a massive 35 responses in total from the community. We then put interested parents with kids of around the same age in contact so they could form a team. If a team did form we would hold a seminar with them at our garage giving them helpful tips and advice. At this years NorCal Kickoff Event we decided to teach a class of our own. Our team captain Shreyas Arora taught an introduction to control systems class which was overflowing with kids. This was very helpful because a lot of teams that just started out this season were able to get some tips and advice from us.